Are you tired of trying to get rid of your wrinkles with no results? Have you spent countless amounts of money on wrinkle creams, facials, supplements that promise to ‘rid wrinkles’; but still aren’t seeing any results? Well, at Dermatologic Surgery Center in Medina, OH we have the perfect treatment for you: BOTOX Cosmetic. Botox is a household name, that has earned its praise as the leading treatment among doctors and patients because of its fantastic results. So, don’t struggle with trying to get rid of your wrinkles, and let us help you get the youthful, firm face you’ve always wanted! Come in today to learn more about Botox Medina! BOTOX Cosmetic is an FDA approved injectable that is used to treat wrinkles and facial creases. It is made from botulinum toxin, hence its name. The toxin stops excessive facial muscle movement, which creates wrinkling. The botulinum toxin blocks signals from the nerves to the muscles to stop movement. This makes the muscle unable to contract, which causes the wrinkles to relax and soften over time. 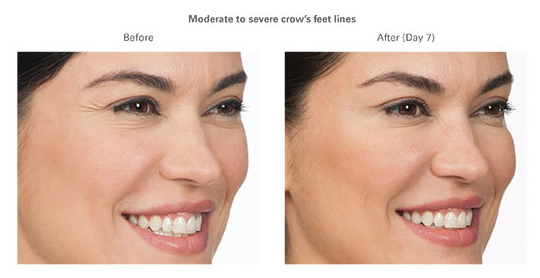 The most common places where we inject Botox Medina is the forehead lines (or the 11’s), crow’s feet and frown lines. This is because these are the areas that have the most movement and cause the most wrinkles. The procedure works by injecting the toxin into the designated areas. There is no general anesthesia needed for this treatment, because of the fine needle that is used. Once the treatment is completed, results take about a week for the full effect. But the results last about 3-4 months after it takes hold in the muscle. Botox isn’t a permanent treatment, so to keep up the results maintenance shots are necessary. What does Botox Medina treat? Contrary to what many think, Botox is not just for wrinkles! Botox has a wide variety of uses and is FDA approved for more than just cosmetic uses. Why should you get this treatment? If you are suffering from excessive wrinkles and can’t seem to get rid of them, Botox is for you. It targets the cause of the wrinkles directly at the source. Another reason is because of its reliability. Doctors have used this treatment because of its dependability and consistent results. Unlike other procedures, both patients and doctors have reported seeing an improvement in wrinkle appearance. 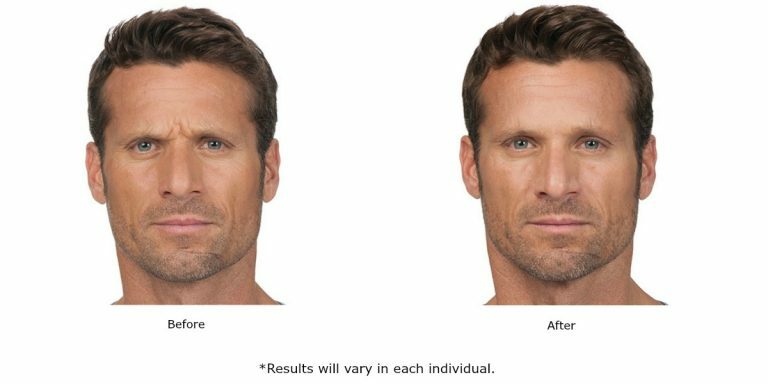 Over time Botox calms the muscles and significantly reduces wrinkles, giving the face a smoother-less hardened-appearance. If you think Botox Medina is right for you, then schedule a consultation today! Our staff is highly trained and certified in aesthetic treatments. We are constantly staying on the cusp of aesthetic developments to bring variety and quality to our patients. So, contact us today and begin your journey to the dream you! Our Dermatologic Surgery Center clinic is in Medina, OH.